Dr. Julia E. Antoine began writing professionally at a very young age. She began with short stories and has since progressed to a whole lot more. 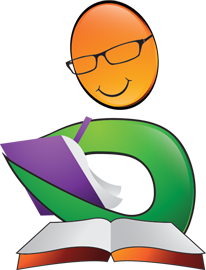 She wrote and published a working curriculum for a career school, a business manual and its answer key, as well as, other literary works. In 2010, not too long after major health issues, she took a different turn, and began writing for fun and enjoyment. She wrote her first children’s book that year, which was immediately followed by a collection of short stories. 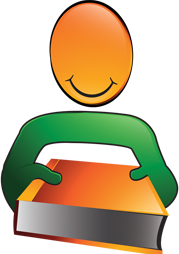 Her children's books won silver from Mom's Choice Award to wide acclaim. 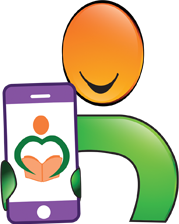 Dr. Antoine currently writes children's books under her given name and romance novels under a pen name. Find her on FaceBook at https://www.facebook.com/AntoineChild..., she loves hearing from you. 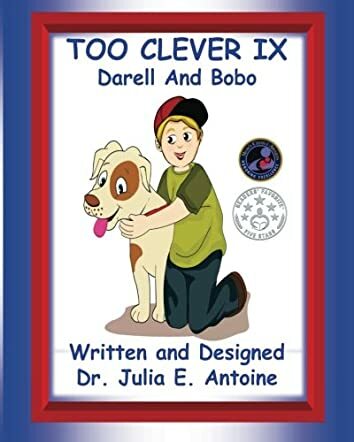 Too Clever IX: Darell and Bobo is a contemporary fiction novella for children, grades 4-6, and preteens written and designed by Dr. Julia E. Antoine. Darell and Bobo had been a team ever since Darell's parents had gotten Bobo for him when he was six years old. He loved caring for Bobo and made sure his coat was groomed and shining. Darell would sometimes eat some of Bobo's food or biscuits when his mom wasn’t around. He wanted to have soft fur on his body, like Bobo and his dad had. When his mom noticed him eating a dog biscuit, and he told her his reasons for doing so, his mom said to wait until he was a bit older and then all sorts of changes would happen. She told him that being twelve was a big time for changes, and Darell couldn't wait. He had mentioned to her that he was thinking of becoming a vet when he grew up, and his mom said she'd arrange for him to volunteer after school at the vet's so he could get a feel for what it was like when he was twelve. All too soon, his twelfth birthday was coming up and he was also graduating from middle school. 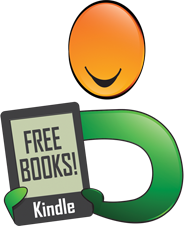 Dr. Julia E. Antoine's contemporary fiction novella for children and preteens, Too Clever IX: Darell and Bobo, discusses growing up in a way that will help preteens who are too timid to find out from the adults in their lives. Puberty is a great mysterious divide, and, like Darell, most kids are wondering when their bodies will start to change and how. Antoine also addresses domestic abuse and the impact it can have on the victims' lives, in this case Jonas and Jonas' mom, who has no idea her boyfriend is physically abusive to her son when she's at work. The story shows how sometimes just telling a friend about a big, embarrassing problem can lead to the help that seems so far away. Darell and Bobo also teaches lessons in loyalty and friendship, and shows young readers how they can incorporate new friendships and interests into their lives as they grow up, without sacrificing old ones. Darell and Bobo is an entertaining and interesting tale, with marvelous illustrations, and it's highly recommended.